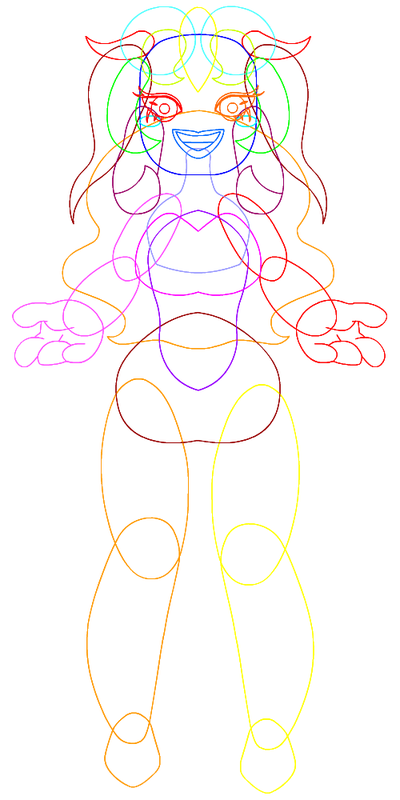 This symmetrical design was used to test Adobe Flash to build and refine puppet creations. She is used to display how a puppet is made, and how all parts vary. This project was also used to test pivoting and a more organic approach to puppet parts. 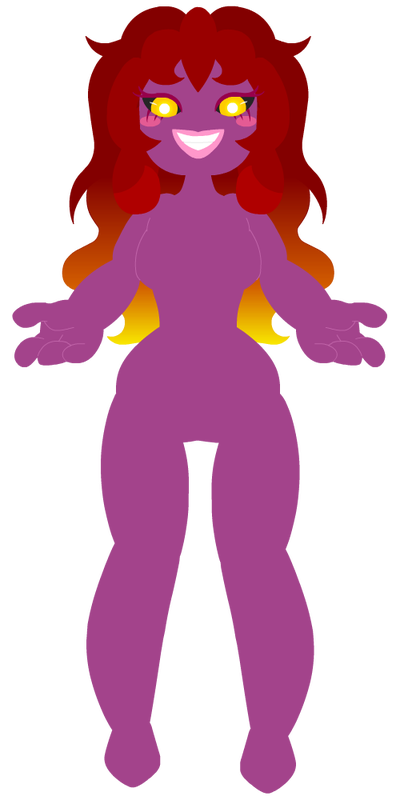 Using a concept for a symmetrical design, the monster lady Aiya was created. 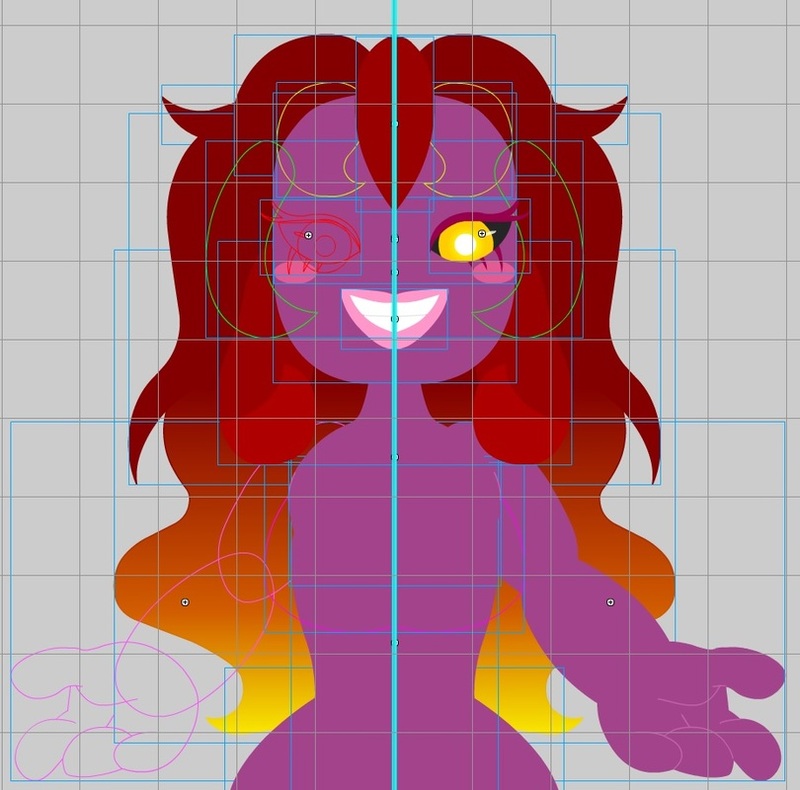 Her design was finalized directly in Adobe Flash, and from here the hierarchy and parts are divided. The image is an outline of the various parts and structure. The base was drawn with a grid beside a symmetrically flipped duplicated graphic. This creates a mirror between the two images, updated with every brush stroke. After all the parts are drawn, the reflection is merged with the original to create one solid piece at the center. All parts separated from the center are their own independent graphic, labeled Left and Right. The image highlights all the parts and shows the grid layout. After all the parts are decided, they are made into graphics - or Flash symbols for animation. They're labeled and put into a hierarchy with folders and layer placement. Purple Aiya also explored different means of pivot placement within the graphic symbol and without. This screenshot shows both the layer hierarchy and the library folders and graphics inside it. 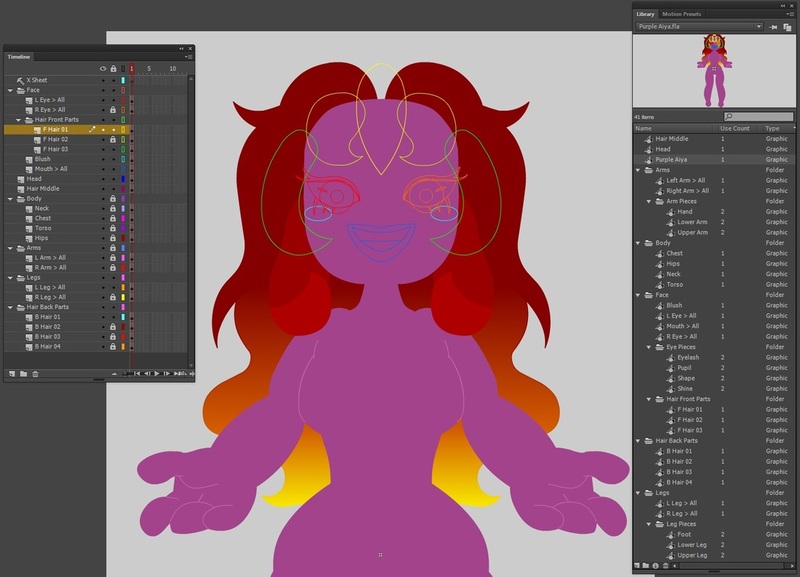 Purple Aiya is a base project for tutorial demonstrations about Flash Puppet Animation. Therefore, the parts built to be easily animated while exploring structure and different designs. To the left is the final outline and render of the image.